Mary Jacob grew up as an anomaly. A child of Louisiana in the early sixties, she found little in common with most of the people in her community and in her household, and her best friend was Lavina, the black woman who cooked and cleaned for her family. Now, in the early nineties, Mary Jacob has escaped her history and established a fresh, if imperfect, life for herself in New York. But when she learns of her father's critical illness, she needs to go back home. To a disapproving father and a spiteful sister. To a town decades out of alignment with Mary Jacob's new world. 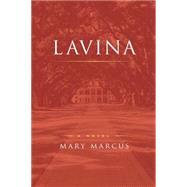 To the memories of Billy Ray, Lavina's son who grew up to be a musical legend whose star burned much too bright.And to the echoes of a fateful day three decades earlier when three lives changed forever.A generation-spanning story both intimate and enormous in scope, LAVINA is a novel rich in humanity, sharp in its indictments, and stunning in its resolution.